Scotland’s Robert ‘The Hammer’ Whiteford prepares to face Darren Elkins in a featherweight bout at UFC Fight Night 76 in Dublin this Saturday. 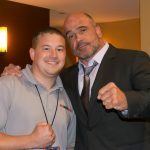 MMA UK Correspondent Jade Morris catches up with the UFC 145-pounder to get his thoughts on the match up. 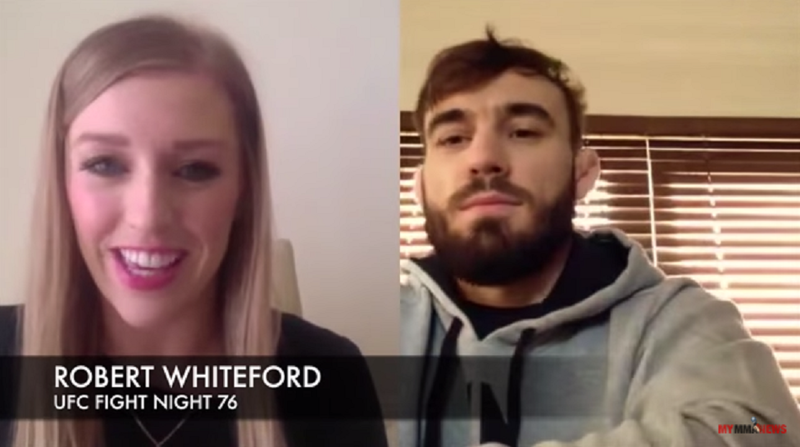 “I didn’t come here to be average, I’m here to put my mark on the division,” Whiteford said. Whiteford (12-2) has won two out of his last three fights in the UFC, with his last fight ending in an impressive first rond knockout against Paul Redmond. Elkins (18-5) is coming off a loss to Hacran Dias and has won two of his last five fights. After injury has plagued the UFC Dublin card, the event is now headlined by Paddy Holhoan vs. Louis Smolka.